Dentist Sandy Springs: Energy Drinks, good or bad? We routinely caution patients about the consumption of soda, juice and Gator-aide type drinks about the toll on teeth. Water should be the drinking source for everyone. But with the rise in consumption of energy drinks, the medical community is beginning to take aim at the ingredients used in these drinks that act as stimulants to their consumers. And as you would expect, the American Academy of Pediatrics has focused on the harmful effects the consumption of some of these products have on children and young adults. Some of these energy drinks contain as much caffeine as 10 to 15 cans of soda. And without a better understanding of the amounts of caffeine (and Guarani and Taurine) being consumed and when they are being consumed, many of our youth are being unwittingly exposed to dangerous endeavors. Adding to the confusion between sports drinks and energy drinks, many retailers place energy drinks next to sport drinks with inference that their consumption is similar to sport drinks. We encourage parents to act with caution in the purchase of energy drinks. The unknowns about these drinks coupled with a significant rise in their consumption should cause parents to be weary of the side effects and potential toxicities. Energy (and sports) drinks should not be a staple part of the diet. Drinking water is the better approach to hydration and a healthy body. Unfortunately, there are no long-term studies on the effects of these energy drinks and their associated arrangement of stimulant ingredients. So if you drink these types of products, do so in moderation. Then your children are most likely to avoid the potentially harmful side effects. 2. Weise E. Petition calls for FDA to regulate energy drinks. USA Today. 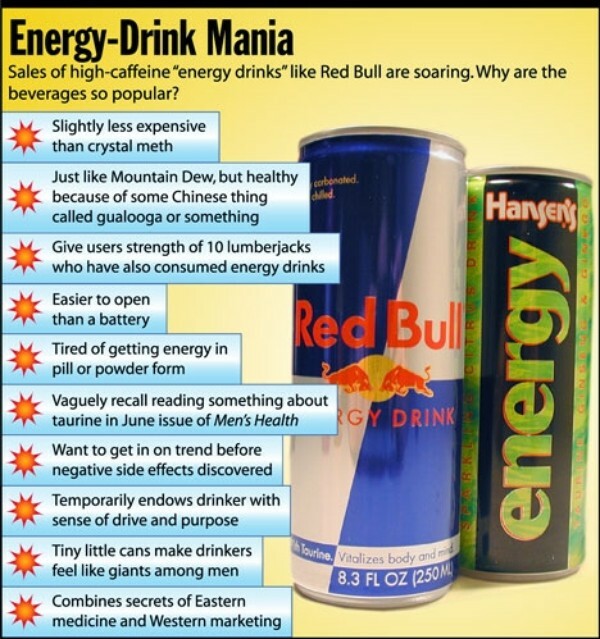 October22, 2008. http://www.usatoday.com/news/health/2008-10-21-energy-drinks_N.htm Accessed September 3, 2010. Dentist Alpharetta: Cosmetic Dentistry is not a specialty! Dentist Alpharetta: Why do we survey patients? My preference is to have government stay out of my arena even if the Mayor might be right. Dentists can usually spot a soda drinker a mile away. These patients are often prone to dental cavities and white spots on their teeth known as decalcifications, which are actually the start of new cavities. A cavity is an infection caused by a combination of carbohydrate-containing foods or beverages and bacteria that live in our mouths. Sweetened soda contains a high amount of sugar, a carbohydrate that can promote cavities. Sodas may be even more damaging to the teeth than other sugar containing beverages because they are acidic as well. Before we drink a sugar-sweetened soda, the pH in our mouth is about 7.0, which is slightly more acidic than water. When the bacteria in our mouths are exposed to sugar, they metabolize it and produce acid. The acid causes the pH on the tooth surface to drop. At a pH of 5.2 or below, the acid begins to dissolve the hard enamel that forms the outer coating of our teeth. 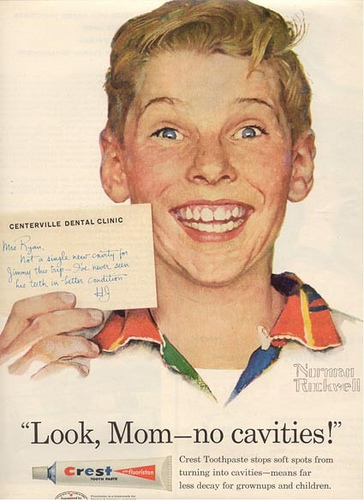 Over time this leads to erosion that causes cavities and painful toothaches. Of all of the sodas tested, cola caused the most decalcification. Sweetened soda seems to damage teeth in two ways. The soda has a low PH and makes the mouth acidic, and the sugar content causes tooth decay when it comes into contact with bacteria in the mouth. The easiest way to prevent cavities is by reducing the amount and frequency of eating sugary foods and beverages. If you can’t stop the consumption then consider brushing your teeth at least three times a day, especially after eating or drinking and before bed. If you have to have sweetened soda, drink it through a straw in one sitting, to bypass the teeth altogether. If we can answer any of your questions or concerns please contact us. Teeth exposed to cola, orange and lime soda had significantly more decalcification than those exposed to mineral water. 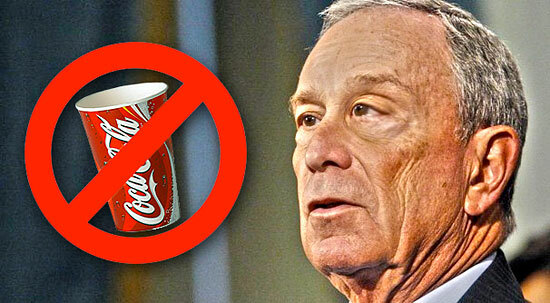 Mayor Bloomberg has no restrictions on mineral water, yet. Drinking green tea is in style, but guess what, it may also be good for your teeth. A recent study found that those who regularly drank green tea had better oral health than those who didn’t. Examining three indicators of gum disease, researchers found that for every cup of green tea consumed per day, a decrease in all three indicators occurred. In the study, the researchers examined 940 men ages 49 through 59 on the three indicators of gum disease by measuring the pocket depth between the gums and tooth, loss of the bone attachment of the tooth and probing bleeding gums. They found that the men who had regular intake of green tea had healthier gums and teeth than those who drank less green tea. They noted that a cup a day increase in consumption resulted in the shrinking of the above indicators or symptoms. Unlike black tea, green tea is not fermented, so its active ingredients remain unaltered. Green tea’s protection comes from a powerful antioxidant, a polyphenol called EGCG. Because our mouths are an oxygen-rich environment closely connected to our blood vessels, they provide an ideal habitat for the growth and rapid proliferation of cancer cells. Scientists have confirmed that green tea not only halts the growth of new oral cancer cells but actually breaks down and kills existing oral cancer cells. A double-blind study of people with leukoplakia (a precancerous oral condition), showed that those in the green tea group compared to those in the placebo group had significant decreases in the pre-cancerous condition. 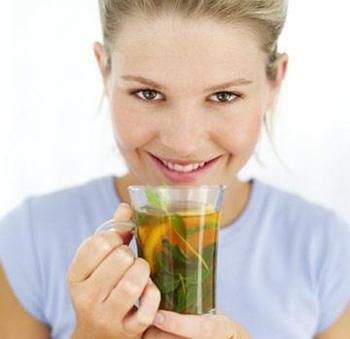 Ingredients in green tea may reduce the risk of getting dental cavities. One study compared two groups. The one that rinsed each night with an alcohol extract of oolong tea leaves had significantly less plaque formation than the group that did not. To fully obtain the benefits, we should have at least four to six cups a day. Decaffeinated tea is recommended to reduce the side effects associated with caffeine, including anxiety and insomnia. This seems like an awful lot of tea to ingest, so if you don’t want to drink that much, simply use it as a mouthwash. If we can be of assistance or answer any of your questions or concerns feel free to contact us. These 3 methods of examining gum tissue are the most common methods utilized by your dentist when you have your teeth cleaned. Graham HN. Green tea consumption, and polyphenol chemistry. Prev Med 1992;21:334-50. Li N, Sun Z, Han C, Chen J. The chemopreventive effects of tea on human oral precancerous mucosa lesions. Proc Soc Exp Biol Med 1999;220:218-24. Otake S, Makimura M, Kuroki t, et al. Anticaries effects of polyphenolic compounds from Japanese green tea. Caries Res 1991;25:438-43. About us is about you. First and foremost, you are the reason we are here. Our multi-specialty office provides you with the dental care you need, convenient office hours, a convenient location, and a trustworthy team of professionals that delivers the best care possible. Our emphasis is simple – you are why we are here. We appreciate the trust you place in us. And we promise to do our best to live up to your expectations and deliver the right smile for your lifestyle. It’s that plain and simple. There are many ways we can give you a youthful, attractive and most of all a natural looking smile – the right smile. Our goal is to help you and your family reach a healthy oral hygiene regime through our restorative and preventative practice and training. We look forward to you being a part of our practice. Give us a call today.